ALISHA VALERIE: Are You Okay? Mental health is still a huge taboo in our society and many people are afraid to speak out about their own mental health problems for the fear of being judged. 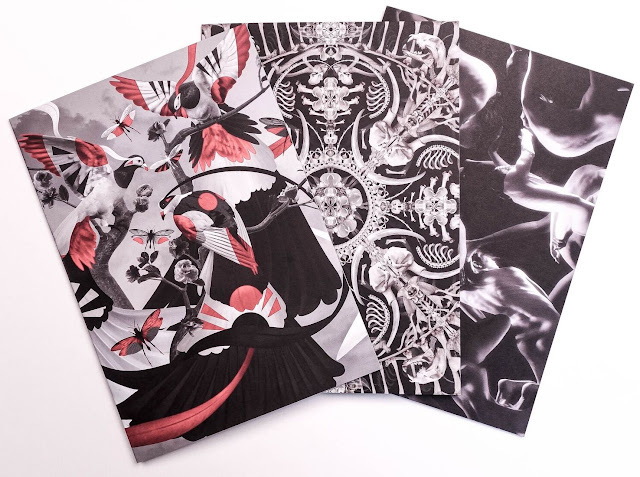 For that reason, card company Thortful* has collaborated with fashion designer Gary James McQueen, the nephew of the late Alexander, to create a collection of exclusive cards to act as ‘moments of intervention’ to increase communication around mental health. 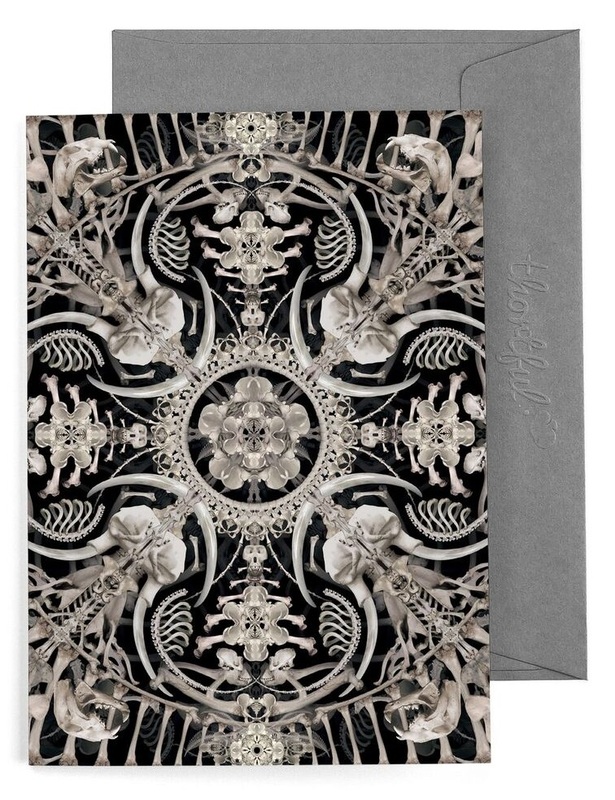 The designs take inspiration from his late uncle as well as the themes of; life, death and rebirth. Gary himself has suffered from depression and anxiety in the past, which is one of the reasons he approached Thortful* to create these cards as a way to get people talking to each other - "I wanted to create cards that said; ‘I’m looking out for you’, cards you might send a friend to demonstrate that you are there for them. A way to reach out with love". In this fantasy artwork he adopted Lee's love of birds. The palette is reflective of that from the modernist era, combining this with a Japanese subject of fantasy birds to give it a modern and new feel. This story is a nod to the Victorian era, a time of British colonial expedition and fascination for everything Ivory.Although very beautiful to own a piece of ivory, this subject highlights the impact and lasting effect this trendhas had on endangered species and the price that has been paid for possessing such beauty. This artwork is a story of Lee's creative energy, bodies distorted, some in a foetal position appearing to die ormaybe they are being born? They represent a re-awakening of energy, very much like the explosive energy of a white dwarf star. As it dies it disperses to form a new established solar system. Chasing The Stigma is a mental health charity which aims to normalise and humanise mental illness. They aim to bring everyone together in a ‘Hub of Hope’; a place to go to find out what support is around you, wherever you are in the country. A place where you can go and know you’re not alone. By creating a community of real people who have faced real problems, they offer genuine hope to those who need it the most. Whether you are a support group, a concerned friend or someone who is dealing with a mental illness, Chasing The Stigma is here for you. I really hope some of you buy a card for yourself or a friend, or share this blog post or post your own little tweet letting people know about this amazing art work. What beautiful work, and what an amazing idea to raise awareness and money for such an important cause! Thanks for bringing this charity to my attention, what a fab campaign. I remember when Alexander McQueen committed suicide and it was still a relatively taboo subject, even then - indeed it seemed to rock the fashion industry. I think its wonderful his nephew has continued the McQ legacy with such a beautiful dedication. I love the idea of sending these to friends who might be in need - the art work is absolutely stunning, and what a lovely cause, too. Wow, I am absolutely blown away by these cards! The images are so intricate and I feel like you could look at them for hours and still see something new in each one! It’s just fantastic that a mental health charity is benefiting from the sales as well, I am so tempted to purchase some! This is an absolutely beautiful idea. I'm actually stumped that nobody had really thought of this before. There really isn't an appropriate "standard" card that you can send to someone who's going through bad mental health problems. "Get well soon" certainly doesn't cover it and I'm not sure how I'd feel if I received a get well soon card if I was in the midst of depression. It's like saying "oh, it'll pass soon, just hang in there" which isn't true for mental health. These designs are absolutely beautiful as well - well done for blogging about this and bringing attention to a wonderful cause! So true about mental health. 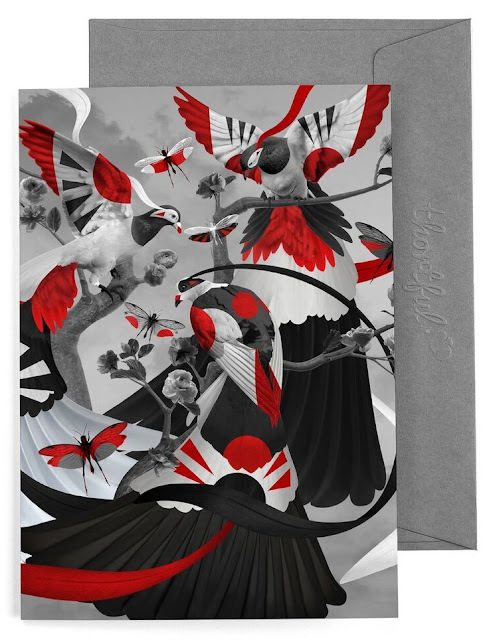 These cards are lovely (the birds are my favorite - love the details of red) and what a great cause! Thanks for sharing! These prints are absolutely stunning and I’m loving the meaning and reasons behind it! Would love to purchase a few myself! This is gorgeous and I feel it’s just so important for mental health awareness!